First I will like to say thanks to all the people that post and create this forum, is really the best source of information related to electric unicycles and a great help. 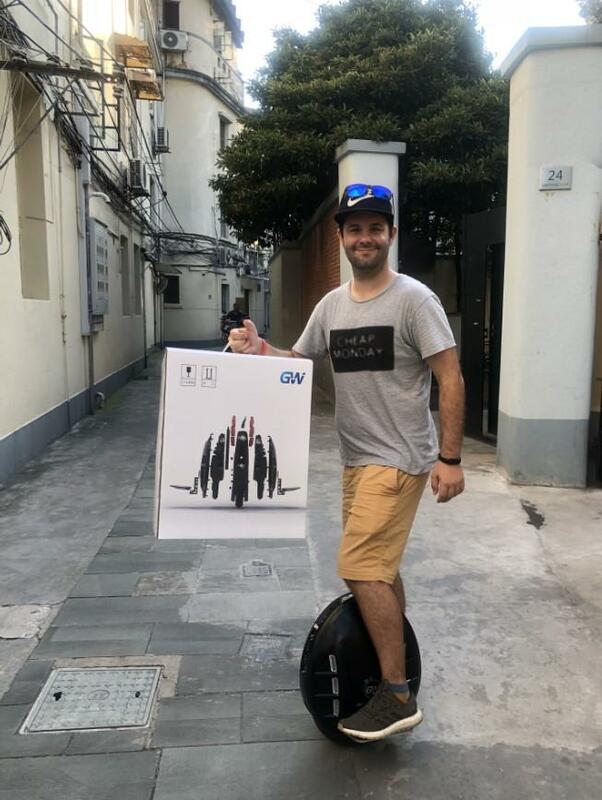 I enter in this unicycle world by chance, as my first unicycle was a present from a friend, I never imagine before that these tinny things can be such convenient and fun way of transportation as they are. Is relatively light (17kg?) has great acceleration, enough power to go around 40km/h, integrated handle to carry it and lift off power button to go up or down stairs without turning it off. My unit has a battery of 650Wh so you get a real range of 25-30km on flat terrain without concerning much about the speed. Also I carry it every day on the high speed train, so the integrated handle and lift power button was a must. Acceleration of the line is great so you can overtake almost all the electric scooter/bikes etc. when starting from a traffic line (really convenient in China). It has integrated light on the front that is 100% necessary at night but I wish it will be a little more powerful. Gotway app it did not even connect to the wheel but WheelLog is simple and really convenient to use. If I want to find some negative points to the wheel will be firstly the charger, 84V and 1.5A is really not something reasonable even for a 650Wh battery (I get a Rockwheel 84V 3A), light is not as powerful as I will like and there is not rear light (only LED in the top arch of the wheel). USB charger also only works with the wheel on and general build quality can improve (handle specially). I will 100% recommend this wheel as a commuter, is great on the city (if the surfaces you ride are not full of bumps or holes), easy to carry and tons of fun. Not recommended for a beginner, off roading or long routes. Probably before the end of the year I will hit 2000km so I plan to update the review then. Mmh yes the MCM5 is a nice wheel. Small, zippy, powerful, all the nice comfort features, looks great. There's some kind of stupid regulation in China that prevents them from having faster standard chargers.